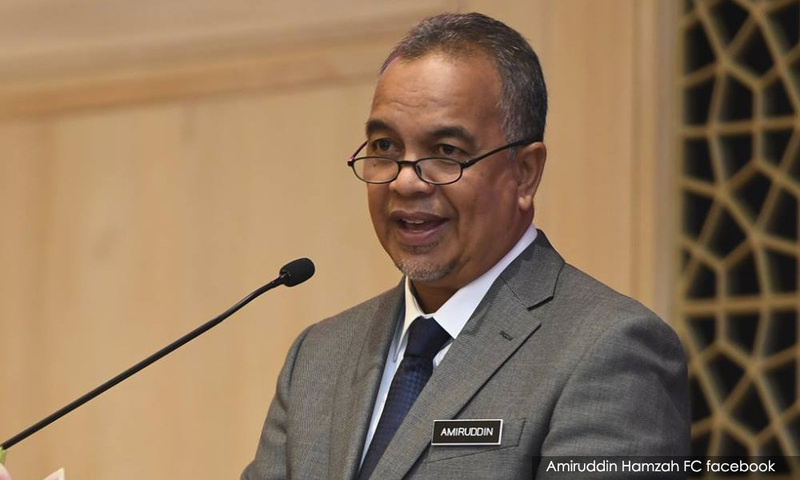 The Sabah Pan-Borneo Highway project will be continued, although a review of existing project packages will be carried out as part of cost-saving measures, Deputy Finance Minister Amiruddin Hamzah said. He said the review would also ensure that the project could be completed on time. "We are also looking at the details of the packages so that they can – as mentioned by Prime Minister Dr Mahathir Mohamad and the Finance Minister (Lim Guan Eng) – give us 'value for our money," he told reporters after paying a courtesy call on Sabah Chief Minister Mohd Shafie Apdal in Kota Kinabalu today. He said the detailed assessment will be carried out by the Public Works Department, and the report would then be submitted to the Finance Ministry. Phase one of the 706-km highway project costing RM12.8 billion was launched by former prime minister Najib Abdul Razak in April 2016 in Papar, and is scheduled to be completed by 2021.